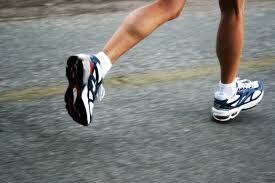 There’s an old factoid which estimates that in a marathon, a typical runner will take between 40,000 and 50,000 steps. I remember the first time I read that figure – probably in an issue of Runner’s World magazine – and thinking to myself “Holy crap, that’s a lot of steps!” Despite my training and my commitment to making it to the finish line of my first marathon (2005 PF Chang’s Rock n Roll Arizona), I couldn’t get that number out of my head. This meant that each leg would be hitting the pavement 20,000 to 25,000 times. Each knee, each hip, each foot arch, would be suffering a punishment like they had never known before. Was the human body, my body, up to the task?? I guess it would be up to fate, and my own mental fortitude, of course. Ultimately, I did complete all those steps, and made it across the finish line in Phoenix in a time of 3:23:16. Phew! But now it’s seven years later, and in addition to the nine marathons that I have run since that day in 2005, I’ve also run a distance of greater than the 26.2 miles no less than six times. One day last August, in a quest to complete a 100K relay race course as an individual effort, I ran 43.5 miles before ultimately DNFing. It’s the farthest I had ever run in one day, which is usually cause to celebrate, right? But I fell short of my goal that day, and in doing so, I learned a lot about managing the effort involved in an ultra run. In a little more than six weeks – on May 12th to be exact – I will be putting the things I learned last August to task as I attempt to traverse the 315 miles of the Hudson River. The other day I was thinking about that old figure telling of the number of steps in a marathon, and it compelled me to do the corresponding math on my upcoming river run. After putting the data through my number cruncher, I arrived at a decidedly daunting answer. Over the course of the eight days that it will take me to run the river, my feet will hit the road approximately 542,748 times. Yes, you read that right, that’s well over a half a million steps. A quarter of a million for each leg. This entry was posted in Running and tagged Hudson River, many steps, Marathon, PF Chang, Rock n Roll Arizona, Runners World, running. Bookmark the permalink. You have my heartfelt wishes on this journey. Unless my schedule changes radically I fully intend to see you at the finish. And just so you know, there is a contigent of runners who will be planning to meet me at the River Run Playground, at 83rd and Riverside Drive. As you probably know, there is somewhat of a working model of the Hudson River in the playground. It’s daunting, isn’t it? It’s amazing that our bodies are able to recover after such a physical endeavor.